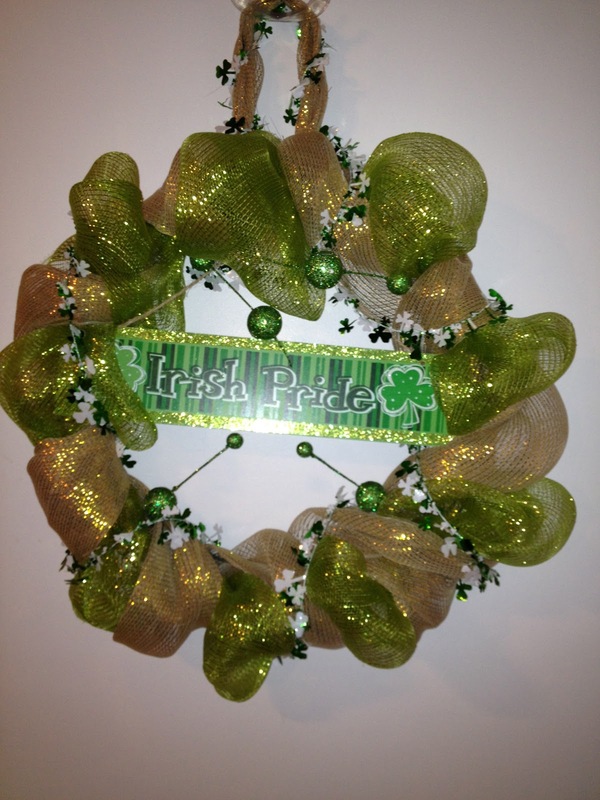 Here is yet another wreath. I am OBSESSED. I love these so much! I got my idea to make these deco wreaths here. 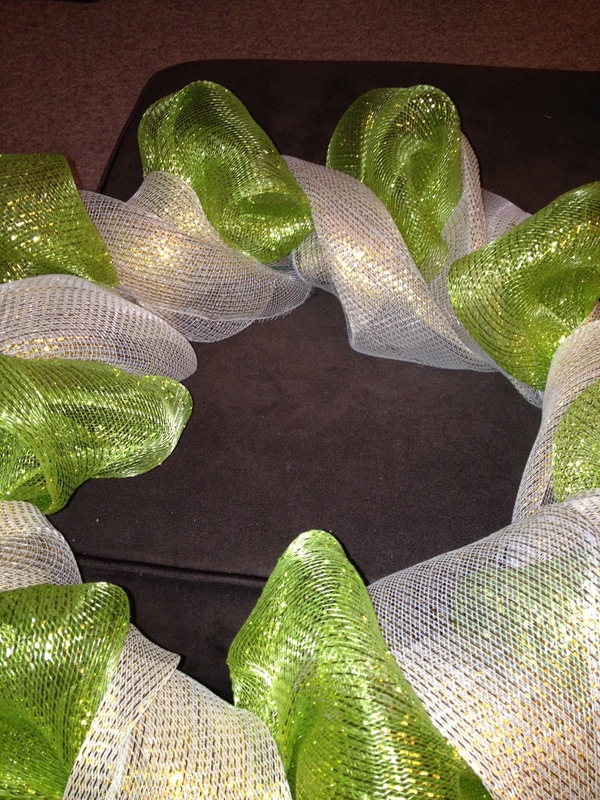 This one was around $10 and one of my more expensive wreaths. I used the green wreath from Michaels that has the three circled wires on it. Don't let the green colors fool you! I was outside in the SNOW taking pictures of this bad boy! I hate the snow so whats better than sled riding? 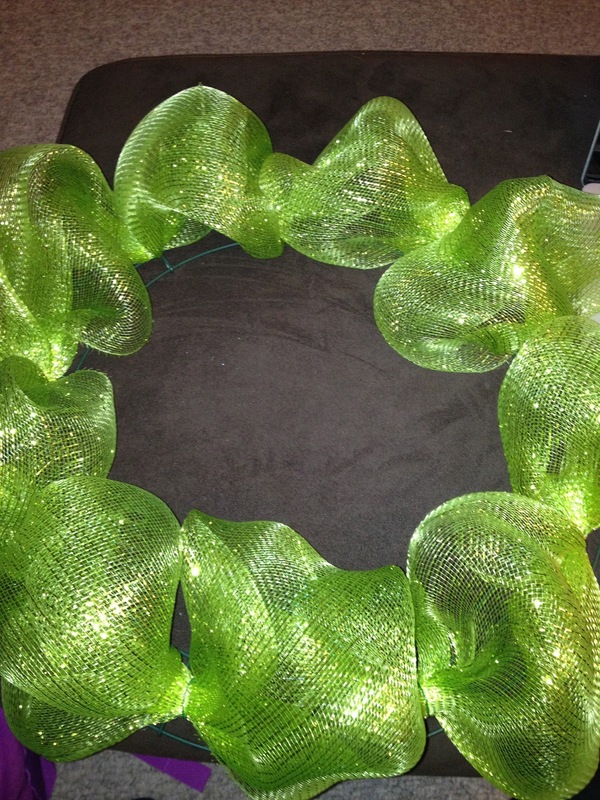 Working on a wreath during nap time sipping hot tea!!!! 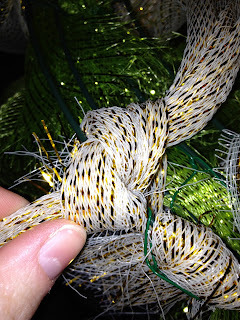 First gather your mesh and use wire to secure it to the back of your wreath. 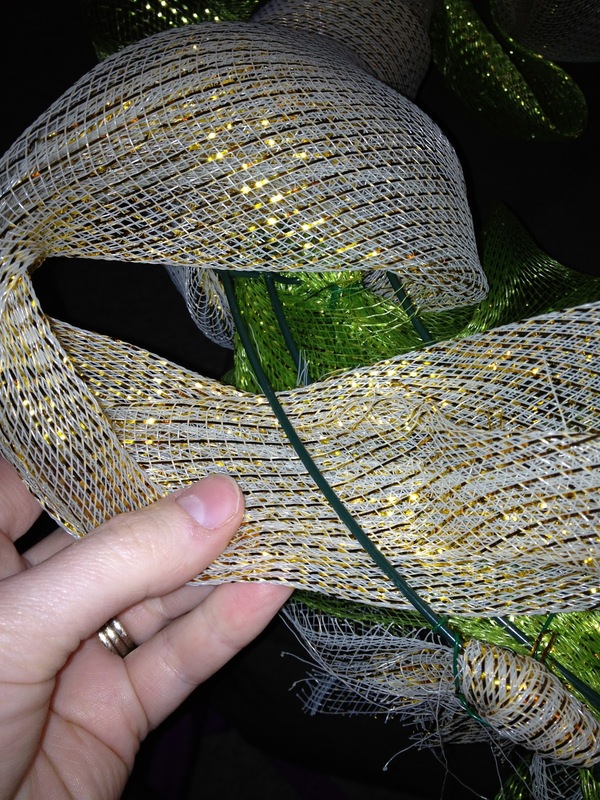 I use about 7 inches of mesh and place it pretty close to the preceding one. I eyeball it. 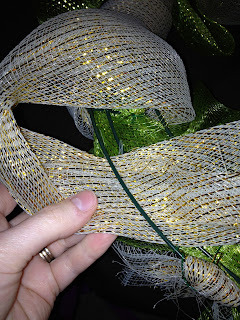 Then I took the gold and went around the openings where the green had holes. and tied a knot and used it as my hanger. 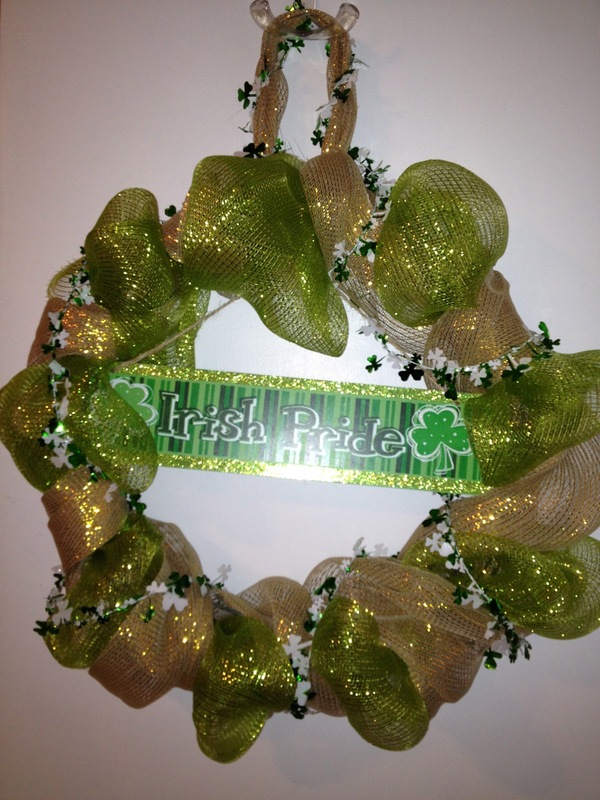 Then I wrapped shamrock garland around it. Then I added a few picks from Christmas clearance and added my dollar tree sign. 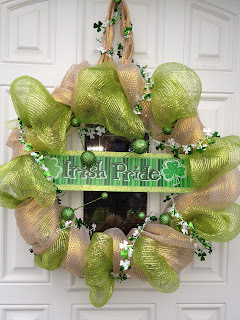 Be sure to follow me and leave a comment! 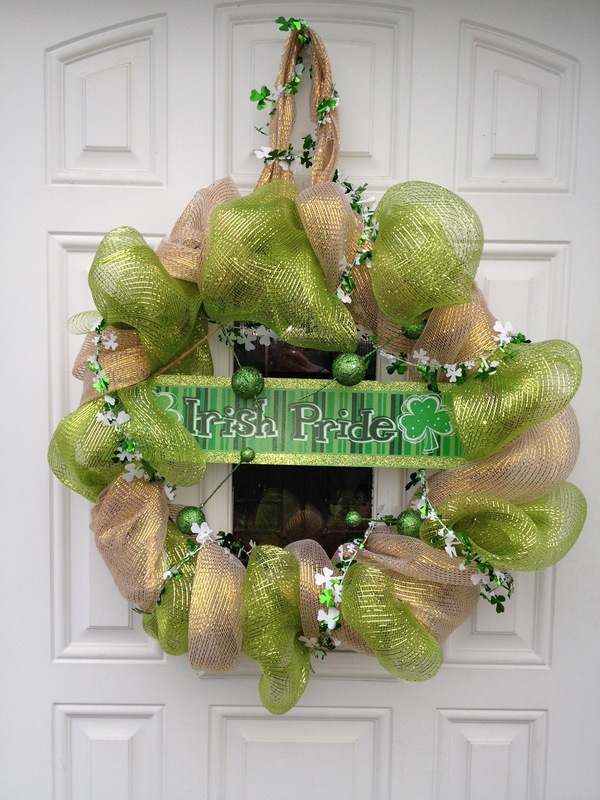 Best Saint Patrick’s Day Wreath Decoration Ideas.